Welcome to April. I hope no one gets pranked by any April Fools jokes today. Did everyone have a good March? We started off the month with a $1,000 financial setback. Other than that, the rest of the month was great. We hung out with friends and family. My work had a team-building event at the Staples Center where we got box seats and enjoyed the Lakers versus the 76ers. We had our taxes professionally done this year and already received our tax refund totaling $2,235! The best part of March was that from the 16th through the 30th, my family went on an international trip. 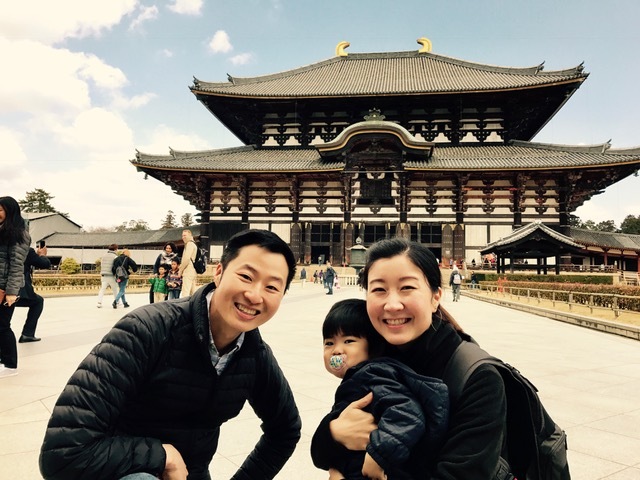 We got a chance to visit Tokyo, Osaka, Kyoto, and Nara in Japan and then Taipei, Taiwan. All of our flights were covered with points and most of our hotel and Airbnb stays were covered with cash back. Our son got to experience his first international flight – in Singapore Airlines business class! Using points towards airfare and accommodations really helps us travel without breaking the bank. We had so much fun and I can’t wait to post a few trip reports and pictures of our experience. Our son sitting on the armrest of his business class seat. The seats were quite wide and we could have fit our whole family in one seat! On 3.29, I received a $274.30 statement credit on my Chase Sapphire Reserve credit card. This was to offset a purchase I made for hotel stay in Taipei, Taiwan. I’ve already received $600 total in Chase Travel Credit from my Sapphire Reserve credit card over the last year. The Sapphire Reserve is my current favorite credit card. After factoring in the Chase Travel Credit, we got to stay in the luxury suites of this 4 star hotel in Taipei for 5 days for only $55.45. On 3.30, I received a $20 Visa debit gift card from M-panels research group. On 3.1, I received a check for $700 from our temporary housemate. This will be the last check we receive from this person as she finally found her own place. Total of income from this roommate was $9,043.75 over a period of just a little over one year. It will be nice to have the house to ourselves again. However, we are still open to the idea of having another roommate in the future if the opportunity arises. On 3.4, we received a net profit of $430 from our rental property. On 3.1, I received a direct deposit of $36.96 from Linkoffers for income generated by this blog. On 3.2 I received a check for $37 from Midwest Refineries for selling an old 1-gram gold bar I won years ago. On 3.5, I received a net profit of $33.80 after selling an old 1-gram platinum bar I won years ago on eBay. This profit was after eBay, PayPal, and shipping fees. 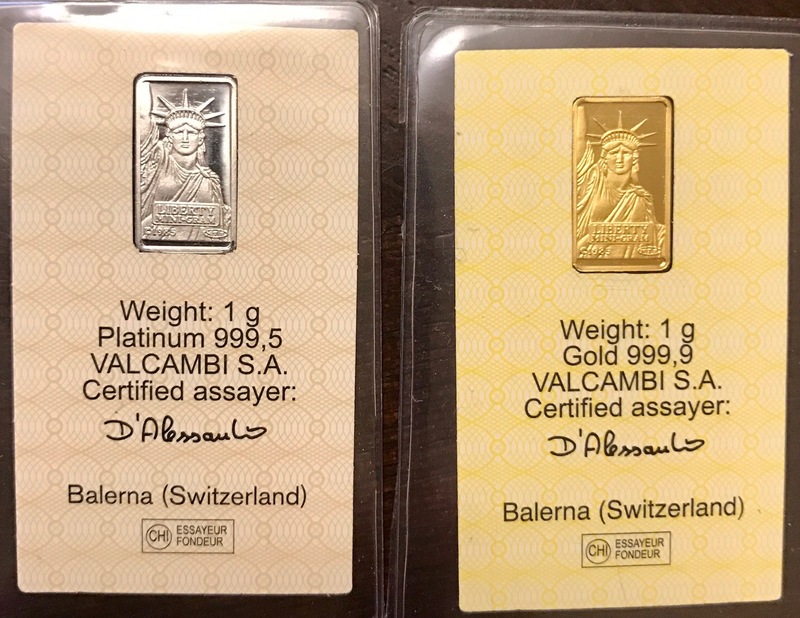 The 1-gram gold and 1-gram platinum bars were just sitting around in a desk drawer and I decided to get rid of them for some cash. Midwest Refineries would have charged a $25 “platinum processing fee”, and that’s why I decided to sell the bar on eBay. Finally got rid of these things. On 3.5, I received $10 cash for selling an old and unused set of snowboard goggles on Nextdoor.com. On 3.6, I received a net profit of $31.02 after reselling a Nintendo Switch on eBay. The eBay fees, PayPal fees, and shipping fees really take a big bite out of your profits. On 3.8, I received a $5 PayPal deposit from iRazoo, a search and win website. You can earn points for watching videos and doing searches. If you enter my referral code: 4PWJUR, then you can earn 500 points to start. 3,000 points = a $5 PayPal deposit. All of this totals $1,593.08 from our side hustles for the month of March. It was great to log into my accounts after coming back from vacation to see all this extra side income add up. For the foreseeable future, we will no longer be receiving any rental income from any roommates. We will just have to come up with other ways to increase our side hustles. Are you working on any side hustles?